It was way back in 1987 that Craig Boddington published his first “Ten Years in Africa” book, and neither the author nor the publisher had any idea what they had started. Boddington had been in Kenya in 1977 just before it closed and had, by the time his first African hunting book came out, taken around a dozen safaris. Now, he is approaching his 100th safari to Africa—surely a record of some sort. 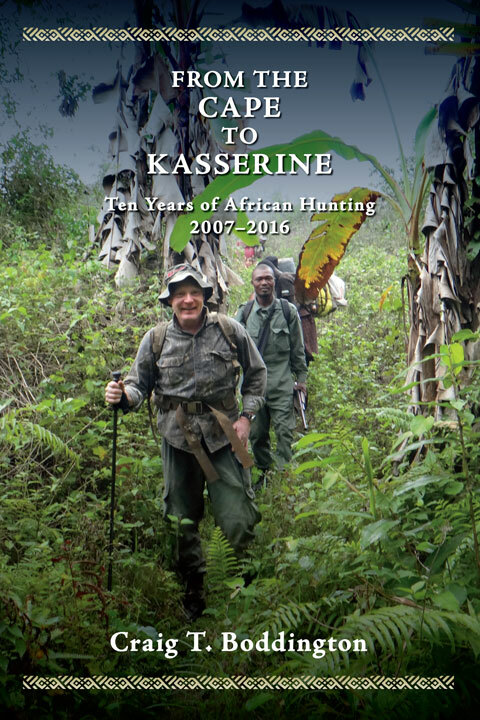 From the Cape to Kasserine is Boddington’s fourth ten-year book chronicling his African hunting. Since 1977 the always-alluring continent of Africa has gone through massive changes. While some hunting opportunities have disappeared, perhaps forever, it seems that Africa is like the phoenix that keeps on rising from the ashes. There are always new opportunities to attract the big-game hunter. This time Boddington takes us as far north as he has ever hunted in Africa, almost in sight of Europe, as he seeks driven Barbary wild boar in Tunisia. He also tells us of elephants in Botswana, buffaloes in Mozambique, lions in Tanzania, and a huge cornucopia of antelopes in between. Included are hunts for giant eland in Cameroon as well as offbeat trips to Ghana, Burkina Faso, and Liberia, places not on everybody’s list of where to hunt in Africa. Not overlooking his favorite haunts, Boddington revisits Zambia and Zimbabwe seeking unusual species he’s not shot before, particular hunting areas he’s not seen before, or areas he’s not visited in twenty years. In this new book he chronicles his first-ever visits to Uganda, which had been closed to hunting for decades. 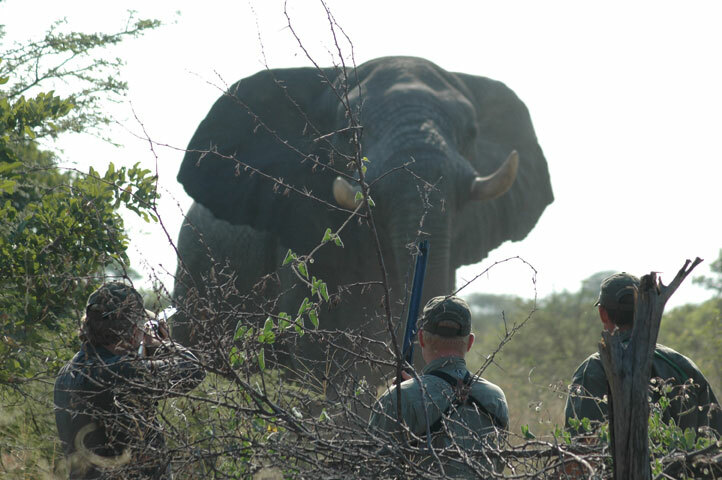 Namibia and South Africa are now the strong points in African hunting because of their sound conservation programs funded by sportsmen and women. These two countries have brought back a variety of game in numbers not seen in 150 years—even the entire traditional Big Five (lion, leopard, black rhino, buffalo, and elephant) can be hunted there once again. Several of Boddington’s hunts take place in these two countries. Naysayers will continue to bemoan the demise of Africa, and some hunting in Africa is now definitely not what it used to be five decades ago. However, consider this: The number of species available for legal hunting in Africa today is higher than ever. We care not to venture if another ten-year hunting book is in the future for either the author or the publisher, but that Africa in the next ten years will continue to provide great adventure and excellent hunting, there can be no doubt. Submit your review for "From the Cape to Kasserine "